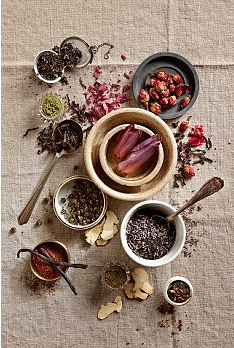 Ayurvedic medicine is a complete systematic approach to health & wellbeing. It has the ability to help people of all ages who are ready to take their first steps on the path to wellness. The Ayurvedic approach to health care is focussed on not only identifying & treating the symptoms of an illness but determining & removing its root cause. Firstly, it is based on the principle that each individual has their own unique body make up known as Constitution or Prakriti, which is determined by the makeup of their parents and becomes apparent at birth. Therefore balanced body intelligence is necessary for flushing out toxins, keeping the body healthy by maintaining this equilibrium and preventing problems from manifesting. When these imbalances occur, it is important to be able to identify what has influenced this change and to redress these factors through diet, lifestyle and environmental changes. This is the role of the Ayurvedic practitioner. Ayurveda believes that illness begins from disharmony between mind, body and soul. Most of the time the problems & symptoms that manifest at a physical level begin from imbalances at a mental level, so it’s very important to identify a patient’s mental state. Therefore while treating a disease, ayurvedic practitioner keeps in mind the whole complex of mind, body and soul and not merely the physical body or the structural organs. The basis of the human body according to Ayurveda depends on three primary factors viz. Dosha (bodily intelligence),Dhatu (body tissues) and Malas(excretory products). • Doshas are the functional entities with designated functions. They are also said to be subtle forces. These Doshas are three in number viz., Vata, Pitta and Kapha. Doshas are also called as Humors, which govern or control the functioning of the body. • Dhatus/Body tissues are basic body elements which forms body framework and comprise of seven types of body tissues. • Malas/Excretory products are excretory waste products that make the body clean and healthy. So to conclude disease evaluation and management in Ayurveda are individualized. Diagnosis is made by history-taking, observation, palpation, and performing an examination of various organs and systems with particular attention to the heart, lungs, and intestines. Particular attention is paid to the examination of the pulse, tongue, eyes, and nails. Urine examination is also performed. The nature and the quality of the assessment are quite different from conventional biomedical assessment most physicians are used to. The findings have different interpretations and are based on principles described here. For example, in Ayurveda, 12 different pulses are recognizable and they correlate with the functions of various internal organs.